I am sure the lemming rush to 'smart' ticketing will eventually run out of benefits, maybe in fact quite soon. Passengers are only potential passengers until they buy their ticket. Many passengers will continue to seek guidance through the maze of ticket types (maybe reassurance too) from the knowledgeable staff in ticket offices. They also value the greater security of a staffed station over the isolation of a deserted one. Economics dictate that not every station can be staffed of course but in the Highlands we appreciate the physical presence of railway staff at the likes of Wick, Thurso, Dingwall, Kyle, Nairn, Aviemore, Kingussie and Pitlochry together with Forres, Elgin, Keith Junction and Huntly etc. Generally these stations are only staffed for one shift from something like 7 a.m. until 3 p.m. With 'smart' being the current flavour of the year, there is a danger that the powers that be might seek to downgrade some of these staffed stations, forgetting that potential passengers might then switch to other modes or not travel at all. "2018 sees the first appearance of a new venture at the railway station in Barmouth. 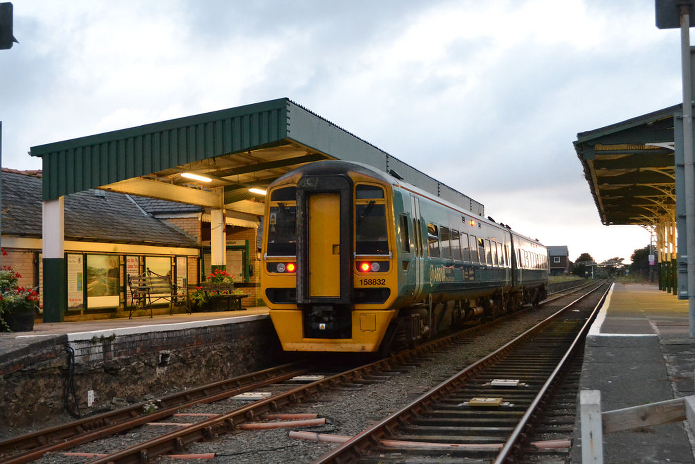 Following Gwynedd County Council's decision to close the tourist information office in 2016, a local businessman has spent the last year negotiating with Network Rail, Abellio Trains Wales, and Gwynedd Council to use the building to house a variety of services for the benefit of the local community and visitors. First off the blocks is the Ticketing Office. Initially focused on train tickets, this facility will expand during the year to support other services... Alongside the ticketing office is the Tourist Information Point. 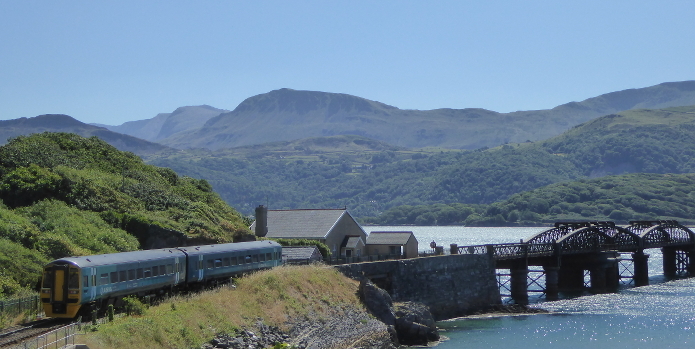 You'll also find Lounge Holidays in the station with a wide range of self catering properties... Finally, Sunset Bay Lifestyle fulfils all your needs for local souvenirs, canvas art, maps and guide books. And there is also a small coffee bar with free wi-fi". I do not wish to advocate any diminution of staff on the FNL, HML and elsewhere but merely to point out that a symbiotic relationship such as the above could be developed at some of our stations. Perhaps the best example in the north at present is at Kyle of Lochalsh where the Friends of the Kyle Line run a museum with coffee also available. With the advent of the Tourist Trains (next year?) there may be scope for creative thinking to help further boost the use of our treasured lines.